As the owner or manager of a construction firm, you know that construction projects, no matter the size or scope, can be significant undertakings fraught with difficulties and setbacks. Not only are you responsible for doing your job effectively and safely, but you are also responsible for fulfilling your contractual obligations to whoever hired you, whether it was the project employer or a contractor. However, your responsibilities can extend even beyond those parties and apply to third parties using what is called a ‘collateral warranty’. 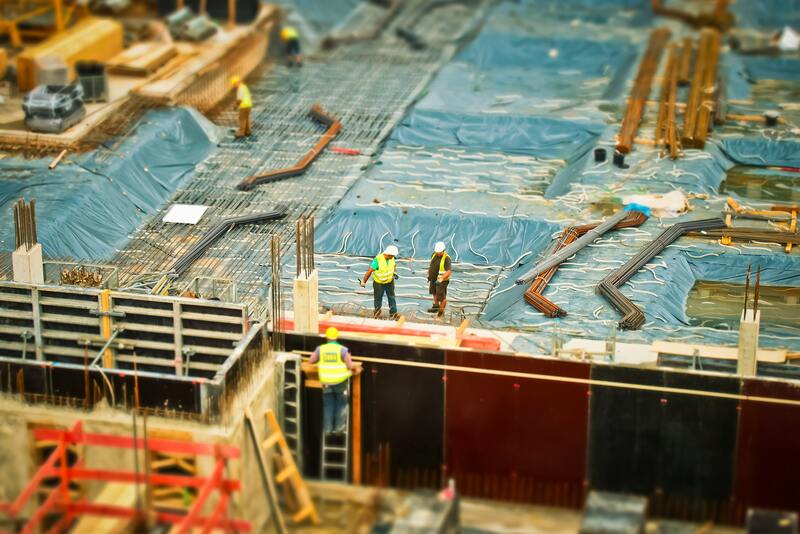 Collateral warranties create a contractual link between the construction team—such as contractors, consultants and subcontractors—and third parties with a stake in the project, such as funders, tenants or purchasers. That way, the third party has a direct contractual relationship through the collateral warranty to pursue legal action against the construction team in the case of negligence. Despite the value and potential drawbacks of a collateral warranty, some firms may not be familiar with the document. Fortunately, this overview explains the potential benefits and structure in a clear and straightforward manner. 1. The contract between the employer and the primary contractor does not allow third parties to be written in after it has been finalised. 2. It provides third parties with the ability to file a claim against members of the construction team for the quality of work that they contributed. 3. It may provide third parties with step-in rights, which allows them to ‘step in’ to the shoes of the project’s employer. Step-in rights can be used to ensure that a project is completed if, for example, the project’s employer becomes insolvent—whenthis occurs a third party such as the funder or purchaser can ‘step in’ and take the place of the employer to see the project to completion. Principal covenant ensures that warrantors (the contractor, subcontractor or other members of the construction team) will perform their duties with reasonable skill and care and fulfil their obligations in the main contract. Insurance policy explains the required level of professional indemnity insurance that warrantors must hold, which usually matches the insurance requirement in the main contract. The deleterious material clause states that warrantor will not use any deleterious materials or materials that are harmful to people or the building itself, during the project. Copyright licence allows third parties to copy and use design documents created by the warrantors. Assignment clause specifies how many times the collateral warranty’s benefits may be assigned (for example, to the property’s next purchaser). Liability limitation encompasses a range of classes that help limit the warrantors’ liability. Such clauses include a ‘no greater liability’ clause, stipulating that warrantors take on no greater liability to the warranty’s recipient than they did under the original contract. Time period states how long the collateral warranty is in effect (usually 12 years). This list is not exhaustive and collateral warranties are typically bespoke documents that are created for particular projects. However, the Joint ContractsTribunal does provide collateral warranties that you or your employer can use or amend for your purposes. A collateral warranty will increase your potential liability by expanding the range of potential parties who may bring a claim against you. A collateral warranty may require you to extend the length of your PI insurance, which in turn may increase your PI premium. A collateral warranty may require you to increase the value of your PI insurance to cover the warranty in its entirety. If you plan to enter into a collateral warranty, be sure to verify whether the agreement will require you to adjust your PI insurance. Alert Sentio Insurance BrokersLtd if you enter into a collateral warranty and we can help ensure your insurance is adequate to protect your business. Depending on the size of the project, the process of using a collateral warranty can be slow and expensive, as it requires several parties to negotiate, prepare, circulate and sign the document. The employer may pressure you to accept a collateral warranty that imposes extra obligations on your firm beyond the original contract. The employer may reject your ability to include clauses that limit your liability, such as the ‘nogreater liability’ clause. What you should do upon receiving a collateral warranty: After you receive a collateral warranty, you should verify that it does not infringe upon the terms of your PI insurance. Contact Sentio Insurance Brokers Ltd in order to verify that your PI insurance is appropriate and that you are properly covered according to your liability under the collateral warranty. Guidance on how to enter into a collateral warranty: While you are not legally obligated to enter into a collateral warranty, you may be put under commercial pressure to do so. If the terms of your contract state that you are to enter into a warranty, you should be aware of how it will affect your insurance and liability. Construction projects can be complex undertakings with multiple moving parts that must be regularly addressed and monitored. Neglecting to inspect all contracts and attendant collateral warranties for extra liability could be disastrous to your firm—exposing you to undue liability and opening you to possible claims from third parties. Build with confidence and limit your liability by understanding how to use collateral warranties to your advantage. For more information, contact the insurance professionals at Sentio Insurance Brokers Ltd today.